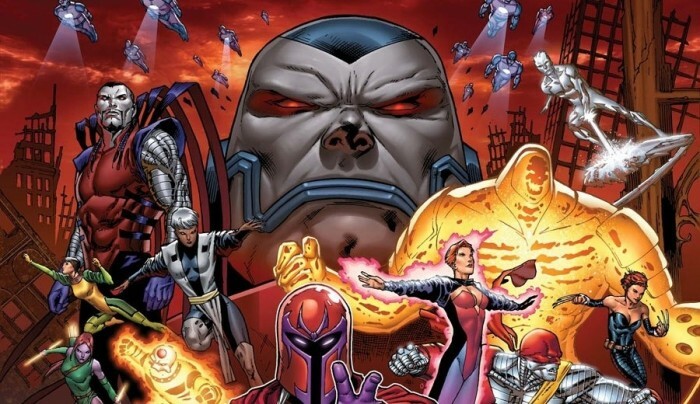 This article was initially meant to be about the 10 best (single) issues of the X-Men, but as I started researching (re-reading) and reviewing, I quickly came to discover that more useful and informative would be the 10 best story arcs in the X-verse which I have tried to provide to you all below. 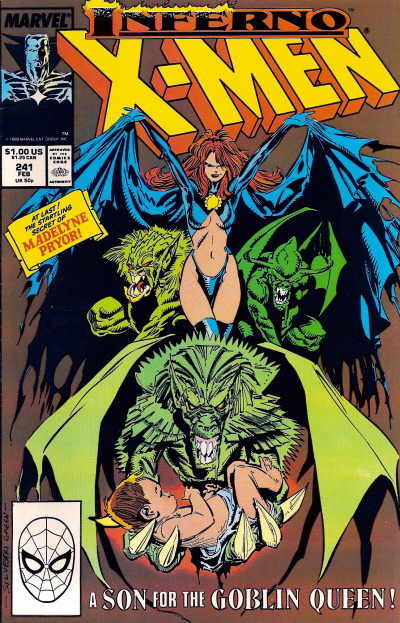 “Inferno” was a Marvel Comics company-wide crossover concerning the corruption of Madelyne Pryor into the Goblin Queen, the final transformation of Illyana Rasputin into the Darkchylde, and a demonic invasion of New York City. As this involved books across the Marvel Universe with some of the storylines being at best incidental and/or irrelvant, it was a bit of a mish-mash of characters and writers. However, the actual main X-Titles, written by Claremont were actually very well done and the story/character development in them extremely well explored. Some of the fight sequences in this arc are exceptional and worth a read as are some of the graphical elements! As mentioned previously, the fact that these books crossed the Marvel Universe made it a little bit of a pain to ensure that you actually caught all the key elements that might have happened. The Morlocks are under attack. The Marauders are acting like hunting parties, tracking down the Morlocks and viciously killing them without apparent cause. The X-Men and other heroes rush in to help stop, or at least, slow the slaughter. 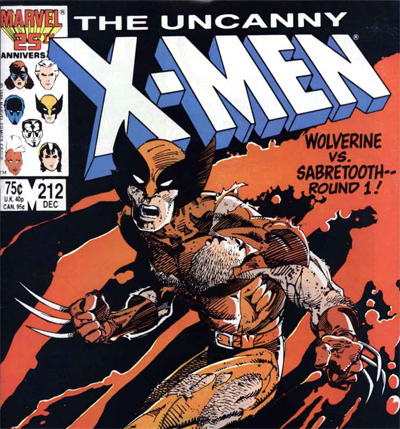 Wolverine and Sabretooth have a pair of classic bouts, setting up what will become one of comics’ classic rivalries. Some definite character growth and development as Shadowcat, Nightcrawler and Colossus take serious injuries while Angel of X-Factor experiences the agony of having his wings impaled by harpoons. The Morlock Mutant Massacre is the first X-Men crossover, and one of the best so not too much to say with regards to the ‘Bad’. Legion (David Haller), a powerful psionic mutant on Earth and son of Professor Charles Xavier, travels back in time with the intention of killing Magneto. He believes Magneto’s death will allow Xavier to achieve his dream of human/mutant equality. But Legion traveled to a time when Magneto and Xavier were still friends. So Xavier dies trying to protect Magneto. Legion vanishes, and a new timeline is created. The only person aware of how history has changed is Bishop, a time traveling mutant who followed Legion. Because of Xavier’s sacrifice, Magneto comes to believe in his late friend’s dream of peaceful coexistence between humans and mutants. Apocalypse, an immortal mutant villain, was monitoring the fight. He chooses this moment as the perfect time to begin his world conquest, which didn’t happen in the regular Marvel Universe for another ten years. Logan & Jean Grey get together … Magneto & Rogue … some excellent ‘what-if’ scenarios and battles are explored … what’s not to like?! Some people have this near the top of their lists and others at the bottom. Its near the bottom of mine not because the story isn’t interesting, but rather because there are too many different books to follow and pick up. “God Loves, Man Kills” is a powerful story resonating with all kinds of persecuted minorities such as African-Americans, Jews and homosexuals. It’s also surprisingly personal, emotionally complex, beautifully rendered and well deserving of a place on this list. 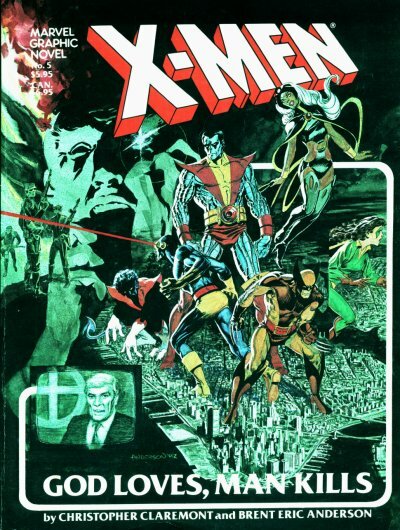 Yet another X-Men story that is widely considered to be a classic. An emotionally charged story with young kids murdered and mutants being persecuted. But artist Brent Anderson does a great job of using images to allude to historical events without becoming heavy-handed. Writer Chris Claremont does a great job of using crowd reactions to show that the issue may be more complicated than either Rev. Stryker or the X-Men are willing to admit. The real heroes of this story are actually two normal cops who don’t know who to believe but who still do their duty. Definitely NOT a story that you would expect in a Comic book – very deep and emotional and shows a different side to a lot of characters. Nothing really bad about this one. Written by Chris Claremont. Art by Jim Lee, Scott Williams, and Joe Rubinstein. During the infamous “Acts of Vengeance,” Wolverine and Jubilee face off with Iron Man’s arch nemesis the Mandarin and the Hand’s deadly new assassin – Psylocke?! 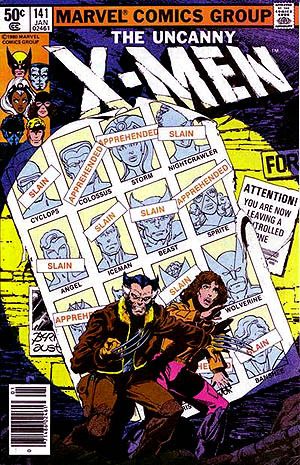 At this point in X-Men history, the team has disbanded and the various heroes are scattered around the globe. The Mandarin takes advantage of the situation and kidnaps Psylocke. He brainwashes her, body-switches her and transforms her into his assassin. Wolverine on his own against Mandarin, the Hand and a host of ninja assassins. It’s a great kung fu action story, with one hero facing impossible odds and the other hero the unwilling pawn of the enemy. Plus, the story serves as Jim Lee’s introduction to the X-Men. The Brood is Marvel’s foray into a predatory alien race not all that far off from H.R. Giger territory, only they infect their victims like a virus, eventually turning them and assimilating them into the Brood collective. This is the best Brood story ever, bar none. While all of the earlier Brood stories featured the X-Men going into space and facing the Brood out there, this story features the Brood coming to earth. That means that if the X-Men lose, the Earth loses. That makes the stakes a lot bigger and much more personal than in previous Brood stories. The Brood infect Wolverine with one of their seed. 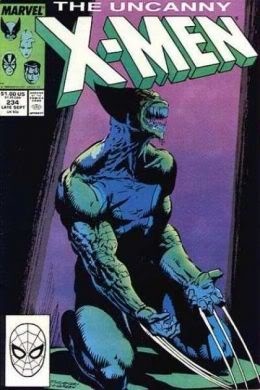 Wolverine has often been the focus of stories in which he has to battle his own inner demons. This time, he has to battle an inner demon that isn’t his own! Of course, there are also big battles, panic in the streets to make even Japanese monster movie enthusiasts happy, Brood beasts throwing cars around and more superhero action than you can shake a stick at. This is definitely the highlight of the Marc Silvestri era of the X-Men. Some excellent covers and artwork are also evident!! Rogue is spat out from the Siege Perilous to land in her room in the X-Men’s headquarters in the Australian Outback, seemingly unchanged. From a news report, she learns that Mystique has been murdered. As she tries to alert her teammates, she learns firstly that she has lost her Ms. Marvel powers and secondly that the HQ is now back in the hands of the Reavers. Surprisingly, Carol Danvers now has a body of her own again and, while she fights the Reavers, Rogue absorbs Gateway’s powers long enough to teleport herself and (accidentally) Carol away. Carol ends up on Muir Isle. Though struggling bravely, she falls under the control of the Shadow King and chases Rogue as his servant. Rogue and Magneto – together gain for the first time. Some great fight sequences and battles and also some amazing covers. Doesn’t really do anything to advance the storyline but still a very good story in and of itself. John Romita Jr.’s first run on the series, and features a murderous scuffle between X-Man Rachel Summers (Phoenix II) and Selene, a member of the infamous Hellfire Club, the mysterious “Inner Circle” of which likes to control world affairs a little more than they should. A huge brawl in Central Park with the whole Hellfire Club taking on the X-Men and then it gets even better with Nimrod, the super mega badass Sentinel programmed to destroy all mutants. This is another of the classic X-Men stories. 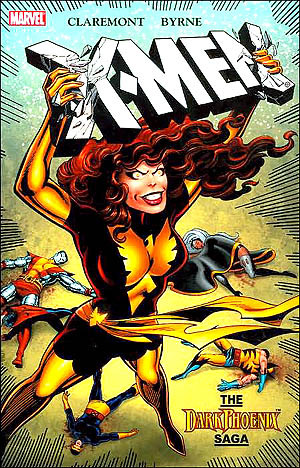 It doesn’t hold up quite as well as “The Dark Phoenix Saga” but it’s hard to hold that against the original story. It’s just that it’s been copied, imitated, parodied and revisited so often that it doesn’t seem as original as it would have at the time. Written by Chris Claremont and drawn by John Byrne, this is the story that shows up on lists of the best comic book stories of all-time. And it deserves it. Reportedly, Claremont and Byrne had observed that over the years, a number of villains had reformed and become heroes but we’d never seen a comic book hero fall and become a villain. They decided to tell the untold tale and they chose beloved ingénue Jean Grey, aka Marvel Girl, for the role. 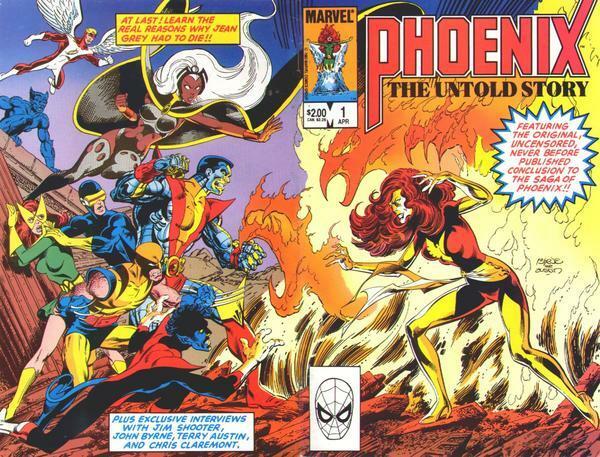 The Dark Phoenix Saga is one of comics’ great tragedies. It explores the axiom that power corrupts and absolute power corrupts absolutely. Slowly, Jean Grey, now known as Phoenix, begins to flex her powers in ways that the readers and her teammates find morally questionable. Yet, the fall is made even more tragic by the involvement of the Hellfire Club. Jason Wyngarde, aka Mastermind, manipulates her mind and her emotions which makes Jean Grey a victim of tragic circumstances as much as of her own power. Uninhibited by any morality, Phoenix eventually uses a sun to replenish her powers, causing the sun to go supernova and killing billions of inhabitants of that solar system. That crime brings Phoenix to the attention of the Shi’ar Empire, now set on capturing and executing her for mass murder. The tragedy is further deepened when Jean Grey is apparently “cured” of the Phoenix power before she stands trial meaning that the Shi’ar are convicting the innocent ingénue rather than the powerful Phoenix. The X-Men, despite their earlier reservations, stand by Jean Grey only to watch her sacrifice herself in order to save the rest of the team. Action, fights galore and an excellent story that captures your heart and mind. This is number 1 becasue it’s the best and well deserves this rating! This is it. This is the big one. There is NOTHING bad about this book. If you’ve not read it before, get it now. You won’t be sorry.